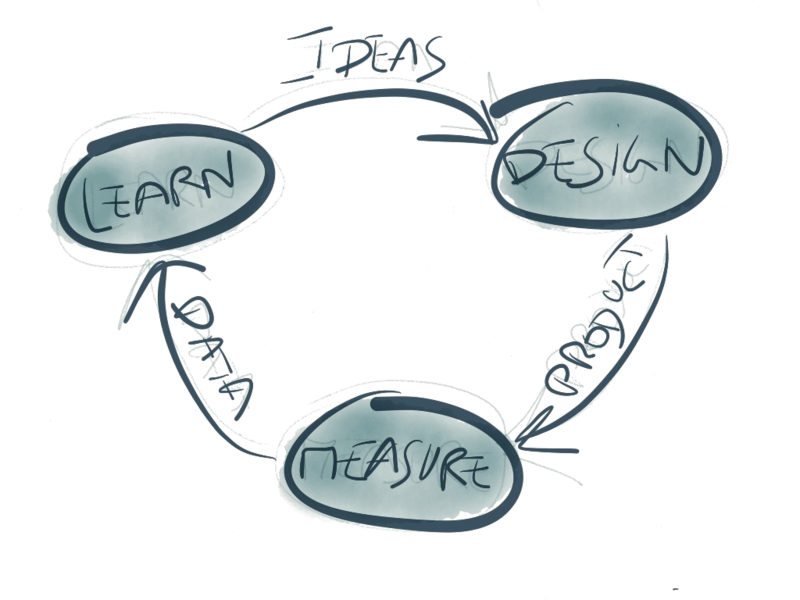 The heart of the Lean Startup movement is the Build->Measure->Learn feedback loop. Each loop defines the leap of faith assumption, the hypothesis and experiments to test the hypothesis. Perfect. Let us look at what I call as scattered learning versus progressive learning. When the vision is clear and the leap of faith assumptions and hypothesis are tuned towards the vision, we have a progressive learning that takes you closer to the vision. When the experiments are made without the vision in mind, then even if leap-of-faith assumptions and measurements are absolutely fine in isolation, you do not get closer to the vision. Even worse, if there is no vision and the loops are executed to derive the vision, the scatter looks all the more worse. Sometimes the vision is clear but the results of the experiments yield whatever has been learnt already – which may not be really useful or good use of money and time you have. Conclusion: Each Build->Measure->Learn loop must align to the larger goal if your lean startup needs to succeed. A Product Manager’s cognizance is required to ensure this. This entry was posted in Product Management and tagged Lean Startup on November 9, 2013 by Vivek Vijayan.